For me, it doesn’t get much better than when chocolate and booze come together to make magic. 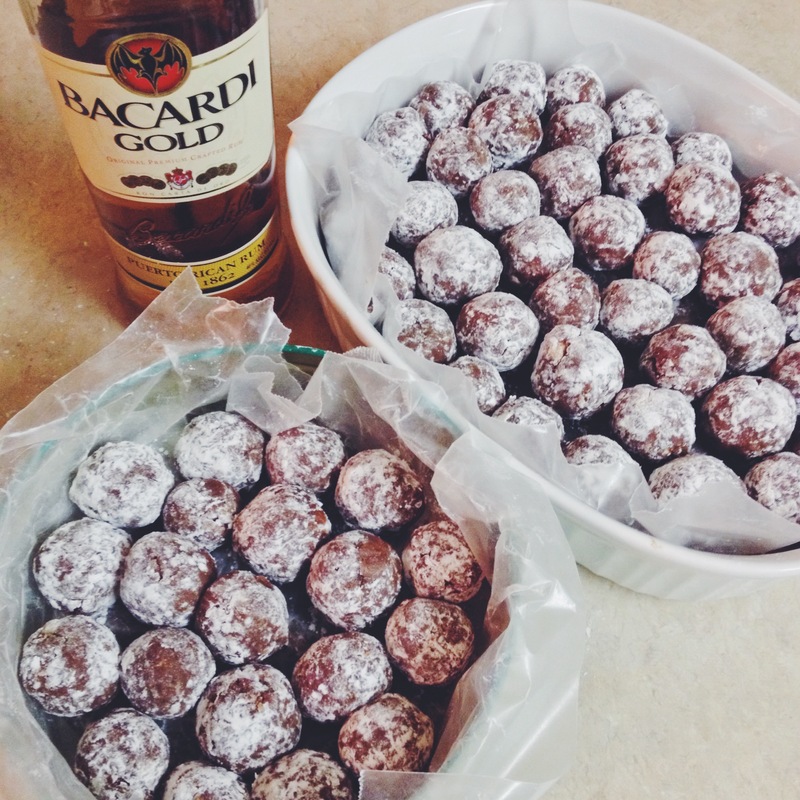 My grandmother’s rum balls are the perfect combination of the two, and they’re my absolute favorite thing to make around the holidays. There are only six ingredients, and you don’t even need an oven! They seriously could not be any easier, and the deliciousness payoff is massive. 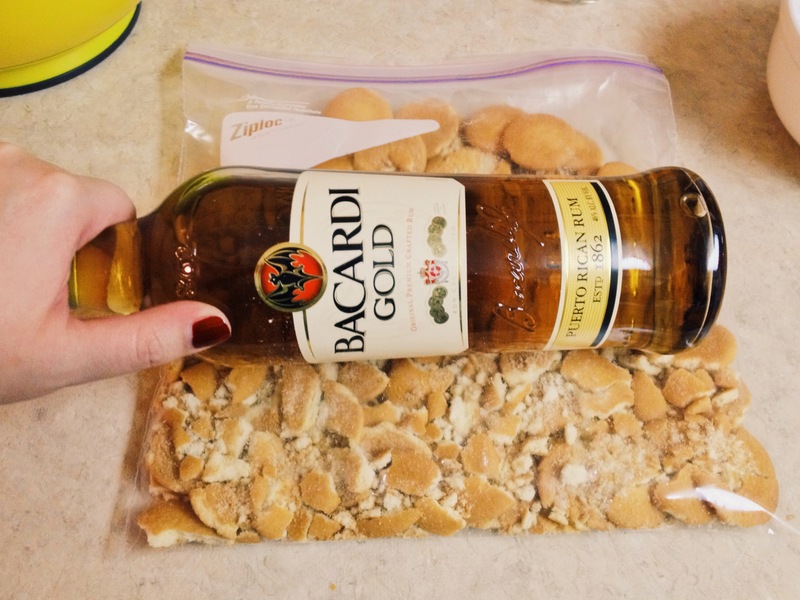 If you don’t have a rolling pin handy, you can crush the vanilla wafers with your bottle of rum. It’s extremely satisfying. After crushing the vanilla wafers, combine them with the powdered sugar, chopped pecans, and cocoa in a large mixing bowl. Once they’re well mixed, add the corn syrup and rum. Once all the ingredients are blended, shape the dough into balls about 3/4″ in diameter. (Tip: coat your hands with powdered sugar first to minimize stickiness.) Lastly, roll the balls in powdered sugar. And ta-da, you’re done! Wasn’t that easy? 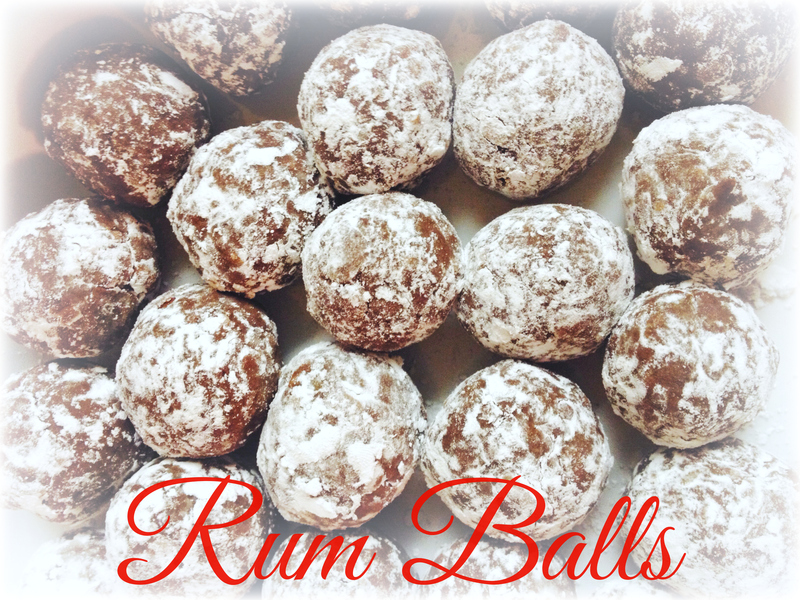 The recipe makes about 2-3 dozen rum balls, depending on how big you roll them. They’re pretty potent at first, but they will mellow a bit with age. What’s your favorite holiday recipe? I’d love to know! Be warned, they are highly addictive! Aw, that is such a high compliment!!! Thanks hon 🙂 I hope you try these–they really are so simple, but incredibly yummy! Umm, I need to make these immediately. Delicious! I love your photos but especially the one of the recipe card. So cute!